Our model milking cow is a very popular resource for use in school, at shows, events and exhibitions. Why do cows drink milk? 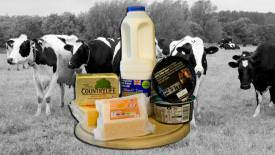 Explore the field to fork story, focusing on dairy produce, as children pretend to be a cow chewing the cud, making milk and then butter. 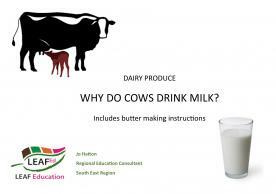 Resources about dairy farming including PowerPoint presentations, videos, worksheets and posters exploring animal health and welfare, sustainability, diversity of farming systems and the production of milk and other dairy products. 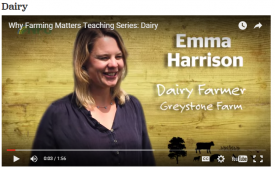 A dairy farmer explains what happens on her farm and how the milk is used. The Story of Milk from Billy Bull to the milk moustache on your top lip! 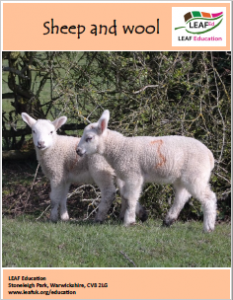 Six activities for KS1 and KS2 that can be used during a farm visit. Some are tailored to dairy farming, but could be adapted to other types of farm. 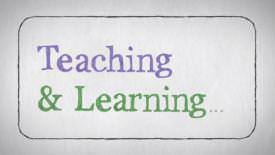 Children of all ages can benefit enormously from visiting a working dairy farm and this video will help teachers understand the benefits, find out where to go, and how to prepare so that their pupils can get the most out of the day. A handy and useful activity that not only helps to monitor and control over enthusiastic watering of seeds and plants, but can be used in a variety of scientific investigations of plant based curricular activities. 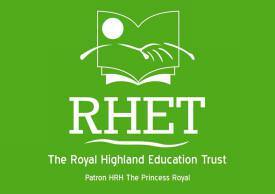 All of this and uses materials that are commonly available in schools and staff rooms! 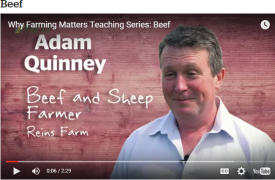 A video Beef Story from Billy Bull to the beef on your plate that brings the farmyard to your classroom but without the muck and without the smells! 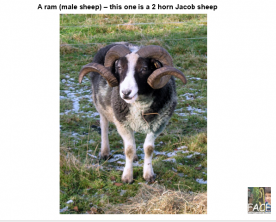 A PowerPoint presentation with photos and text explaining what happens during a sheep's year and the lambing cycle. 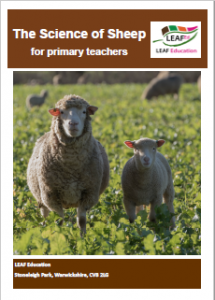 Information sheets outlining how each type of farming system works – beef, sheep, cereals, pigs, poultry and dairy.